I just love this little guy! I used all Stampin' Up! punches (except the teardrop) and the coluzzle for the naughty meter. 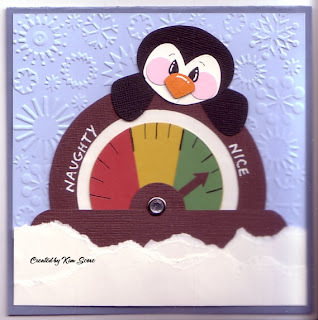 Now I think with this cute little penguin that it is a niceness meter! Great job! This is the cutest...Thanks so much for sharing all your wonderful creation and the recipes.